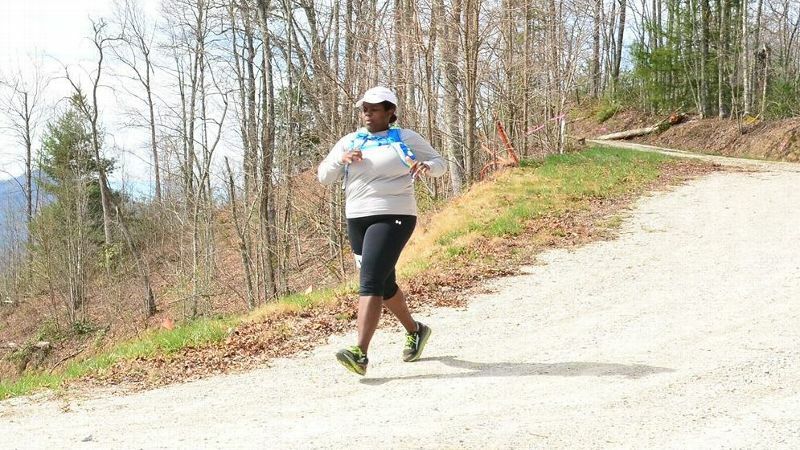 At 48, Adrienne Leblanc is still running after her dreams. First, there was the hamstring tear at London in 2013. Then came heatstroke at Cozumel, Mexico in 2016. 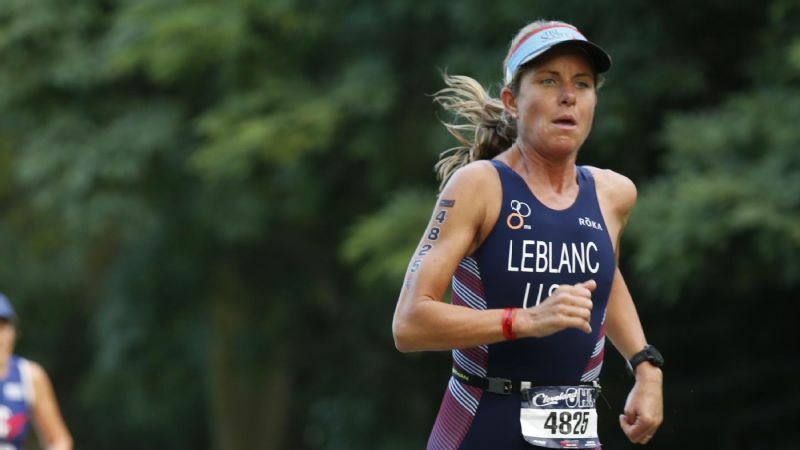 Both times, Adrienne Leblanc was knocked out of the Olympic-distance race at the triathlon world championships when she had a chance to win gold. At Cozumel, in fact, a victory was in the bag. 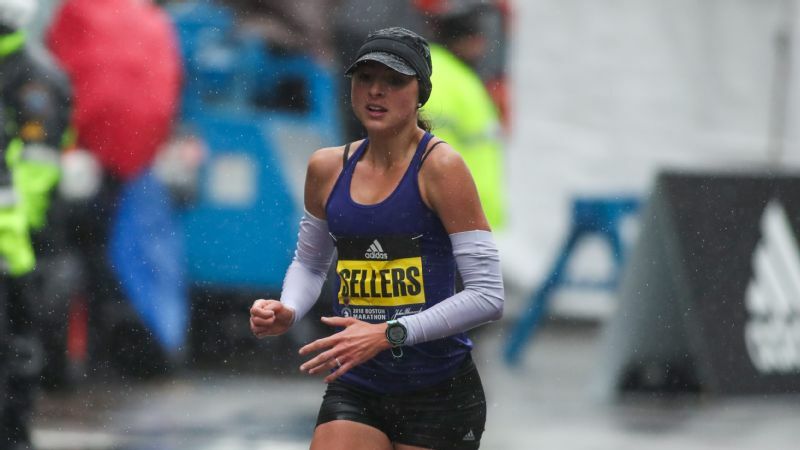 She was up by six minutes in the final mile of the 10K run when she collapsed. "It bothered me so badly," she says. "I never want to drop out of a race." 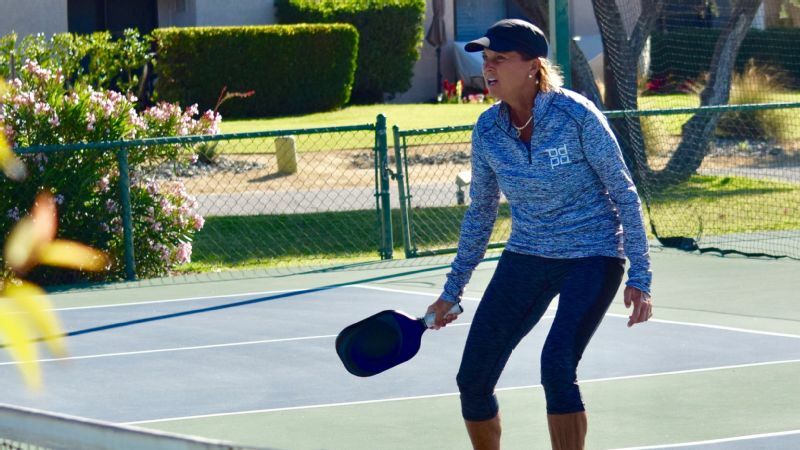 Leblanc, 48, didn't do her first triathlon until 2010 at the age of 40, but the former Arizona State swimmer quickly took to the sport. Leblanc, who lives in Scottsdale, Arizona, has won five national triathlon age-group championships since 2012, four of them in her favorite Olympic distance (1.5-kilometer swim, 40K bike and 10K run). In 2015, she also won a world title in the sprint-distance race (750-meter swim, 20K bike and 5K run). Despite all the medals, Leblanc was frustrated. She couldn't win the one she wanted most: the Olympic-distance world title. "That was my dream," she says. Last year at Rotterdam in the Netherlands, that dream came true. Leblanc built a 30-second lead in the bike, then pulled away in the run to win by almost three minutes. This time, there were no hamstring tears, cramps, sprained ankles or unexpected disasters. She stayed in command on a wet, windy day. She knew she had it when her father-in-law -- who'd been giving her updates along the running route -- told her she had a 2½-minute lead. "I said, 'OK, just relax and make sure you finish," she says, laughing. Long before she ever entered a triathlon, she hoped to swim in the Olympics. Leblanc grew up in Orange County, California, competing for the Southern California Aquatics club and Foothill High School, earning a scholarship to Arizona State. She swam four years for the Sun Devils but missed out on earning a spot in the Olympic Trials in 1988 by fractions of a second. "I was thrilled with that," she says. "I made it pretty far, gave it my all. It was a great experience." In the years after ASU, though, she began to miss the competition. She still swam to stay fit but didn't have much time for anything else as she pursued her master's degree in physical therapy at the University of Southern California, then moved east to work as a physical therapist at Yale-New Haven Hospital in Connecticut. By then, she had two daughters and a son and life was full. Still, she was looking for more. She ran a few road races and also tried cycling. "I fell off my bike and broke my elbow," she says. "I was like, 'Oh, God, this isn't for me." "I never want to drop out of a race," Leblanc says. Eventually, she got back up on a bike (and didn't crash) thanks to a neighbor who was an avid cyclist who began riding with her and encouraged her. "It totally changed my life because then I was able to do a triathlon," she says. In her first event, an Olympic-distance race at Bartlett Lake near Scottsdale, Arizona in March 2010, she shocked herself by finishing third overall among women. Even though she didn't know what she was doing, she was okay. "I remember I was putting on my sunscreen and chapstick in the transition area (after the swim)," she recalls. "I didn't know you were supposed to hurry. I was very novice. I can remember my brother-in-law telling me to hurry up." As if making up for lost time, Leblanc dived deep into the sport. 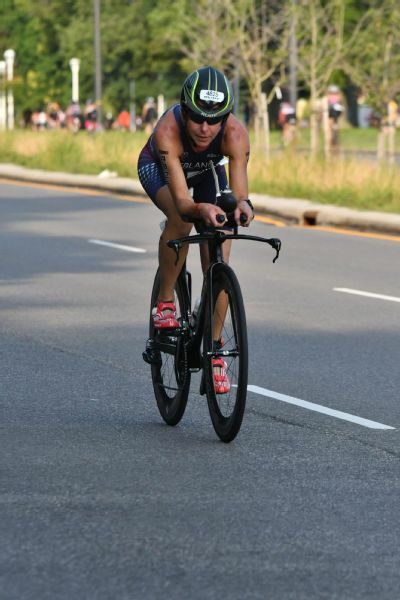 She qualified for the USA Triathlon national championships in 2011 and finished 23rd in the Olympic-distance race. 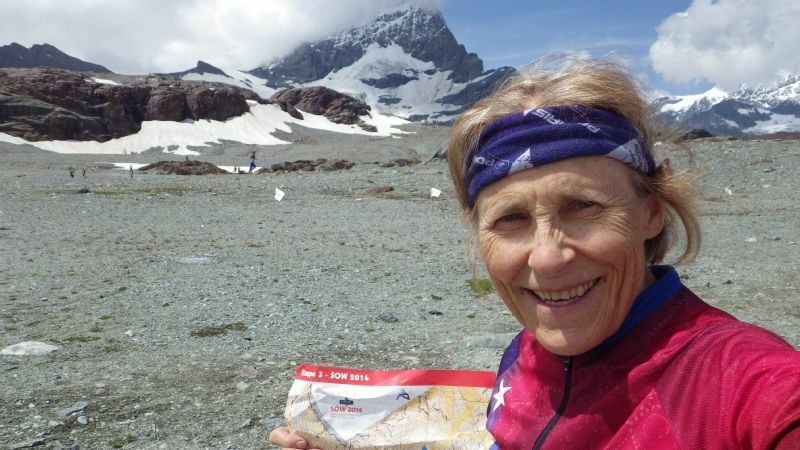 In more than two years, she'd gone from participating in zero triathlons to placing 10th in the world in her age group. Since then, Leblanc -- despite multiple hamstring injuries -- has continued to train, compete and succeed. Each week, she sits down to plan her training, which averages between 12 to 15 hours. It includes three cycling sessions at 90 miles, four runs totaling 26 miles and swimming 10,000 to 11,000 meters. She also does two sessions of strength training. She works with a triathlon coach to keep her focused on what she needs to be doing -- and to sometimes hold her back. "I tend to do too much," she says. "I need someone to tell me, 'No, this is enough.' I usually don't do too little." Leblanc has been recuperating from a hamstring injury since April, and wasn't able to run until July. She intends to compete in the sprint-distance race at the USA Triathlon national championships in mid-August rather than Olympic-distance. She hopes by the world championships in September in Australia, she'll be fit enough to defend the Olympic title she won in 2017. As a physical therapist, she says she's learned through the years to diagnose her own aches and pains and care for herself. And to back off and let something heal rather than push through the pain. "Too many times that doesn't work," she says. It's also one of the reasons she doesn't have a desire to do Ironman or Half-Ironman races, where she'd have to run and cycle much more each week and risk more injuries. Training and competing in the distance events she's doing now, however, is here to stay. When she stopped swimming at Arizona State, she felt she wasn't finished with her competitive career. It just took her about 20 years to find what came next. "I wasn't ready to be done," she says of triathlon. "It's given me that extra joy in my life."